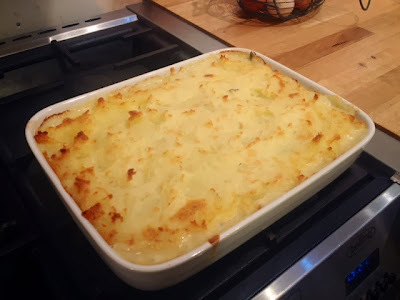 Fish pie is one of my favourite dinners, I make it regularly and in so many different variations but when I decided to share it on the blog I thought I’d go down the traditional route as it’s simple, tasty and can’t be beaten. 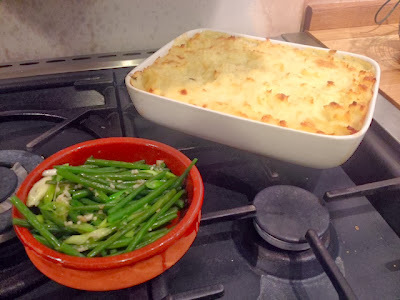 Everyone loves simple hearty home cooking done properly and this version went down so brilliantly with my boyfriend I think he ended up having about three portions! I’m sure I’ll be sharing my many variations at a later date. 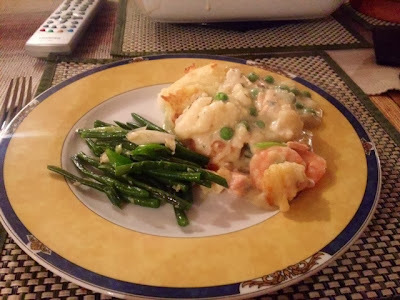 Fish pie is best served with simple green veg, something with a bit of a bite to it to contrast against the softer textures of the fish pie itself. I’ve opted for green beans this time but jazzed them up a bit by sautéing them with spring onions and garlic. It gives them a tiny bit of a lift that just makes veg more tasty and exciting. 2. Place the salmon and white fish in a pie dish with the wine and the dill and season generously with salt and pepper. Cover with foil and bake for 15 minutes until the fish begins to flake. 3. 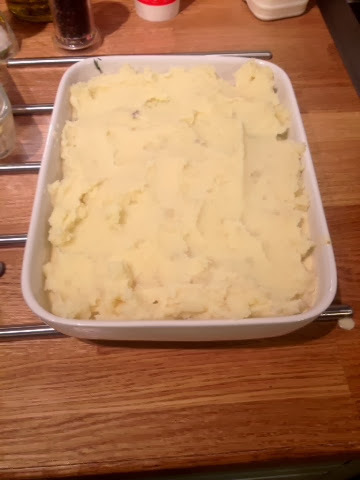 Put the potatoes on to boil. 4. Drain the juices and set aside. 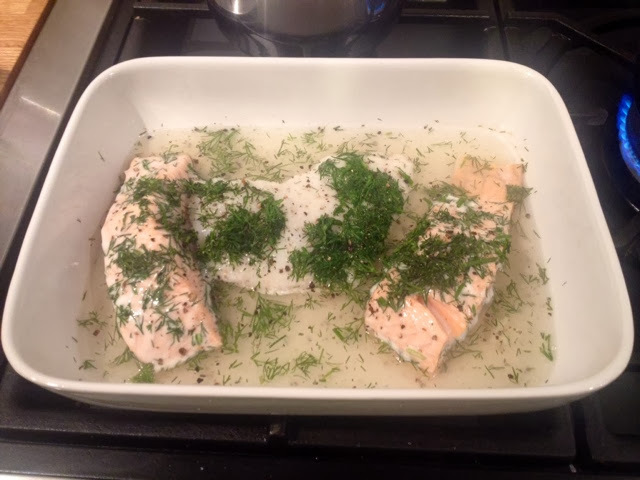 Remove any skin from the fish fillets and flake into pieces. 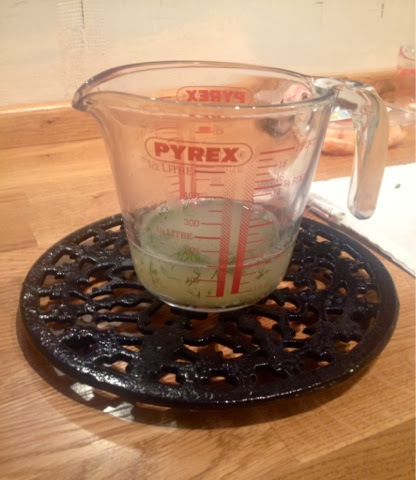 Turn the oven up to 220°C. 5. 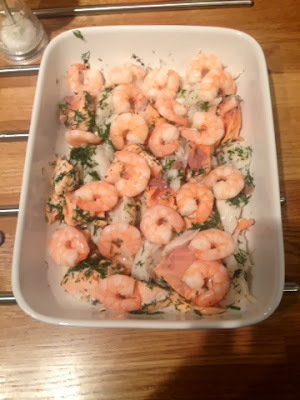 Mix the fish evenly in the dish and scatter over the prawns. 6. In a saucepan on a low heat melt the butter and add the flour. 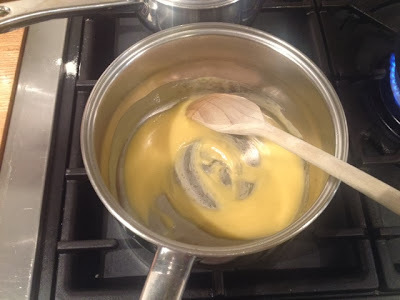 Stir together to create a roux. 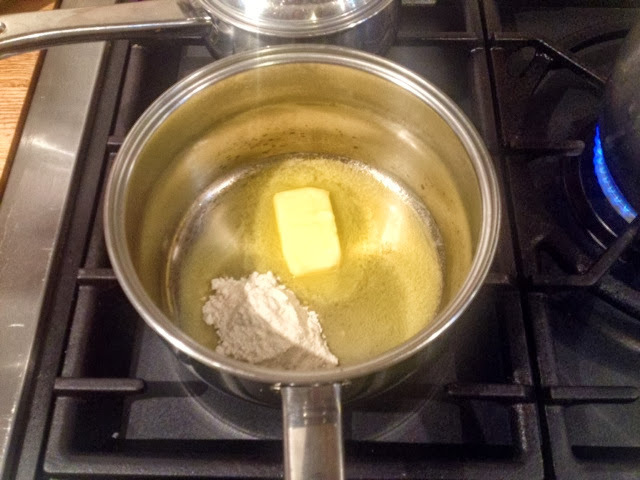 Cook for 2-3 mins, continuously stirring. 7. Remove from the heat and pour in the reserved juices from the fish a little at a time, stirring until mixture is thoroughly combined. 8. Return to the heat and add the cream. Bring to a gentle simmer, the sauce should be silky and smooth. Season generously with salt and pepper. 9. Pour the sauce into the dish covering the fish and then scatter over the peas. 10. 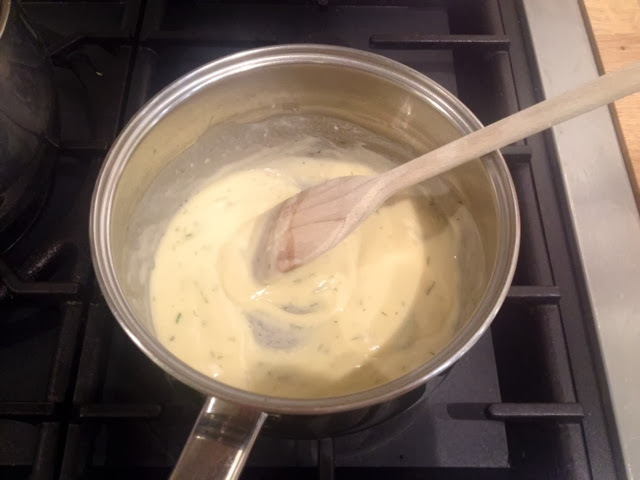 Drain and mash the potatoes with the milk and butter until smooth and creamy. 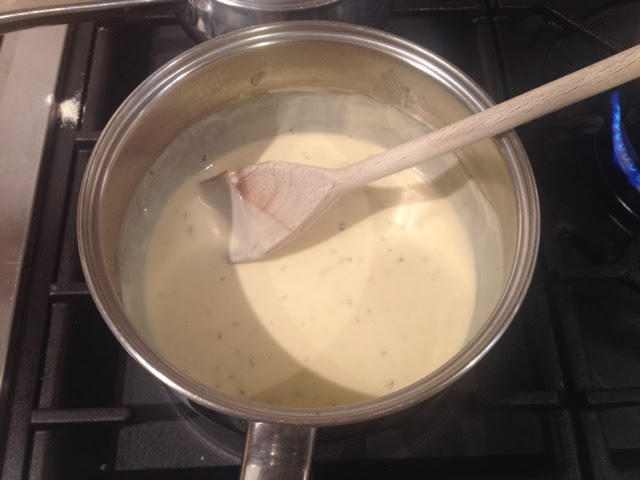 Spread evenly over the fish mixture. 11. 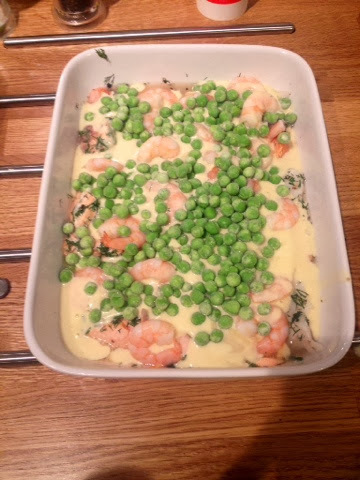 Bake in the oven for 15 minutes. 12. Meanwhile boil the beans in a small saucepan for 5-7 mins until softened but retaining a bite. 13. 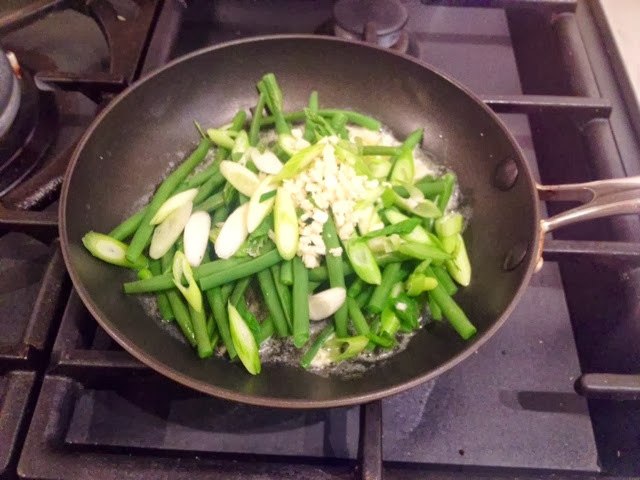 Drain the beans and gently sautée them in a frying pan with the spring onions and garlic with a little butter. 14. When the pie is ready, switch your oven to grill, move the pie to the top of the oven and grill for 5 minutes until golden and crispy on top. 15. Dish up with beans on the side.